NEXT | How closely should each faction's experiences mirror one another? For those of you who skipped Mists of Pandaria, it was in this expansion that we formally met Wrathion, a member of the Black Dragonflight. It was to him we turned in accumulated items to get a “sha-touched gem” which imbued a specific weapon with great power. He was, at the time, best buddies with Anduin. 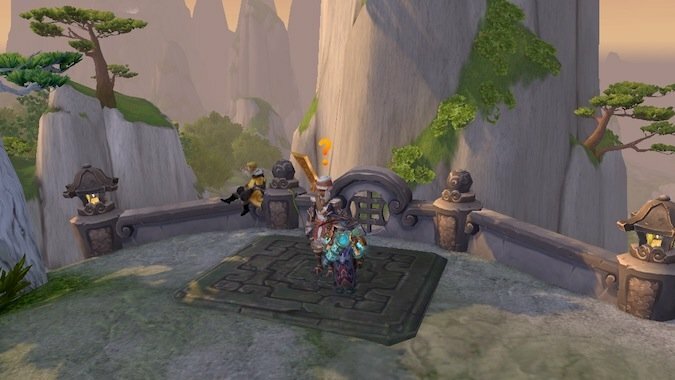 But Wrathion has been in the game longer than Mists of Pandaria and what he’s currently up to is subject to speculation. Wrathion pops in and out an adventurer’s life from Cataclysm through Legion. You can first meet him in the Badlands in the guise of an egg. If you’ve never done the quests which result in the trinket, Rhea’s Last Egg, I encourage you to do so. Head to Fuselight, go southeast into the ravine and find Rhea. Trust me. The reward for learning about the Black and Red Dragonflight is so worth it, even if it’s a lowly ilevel 47. In Cataclysm, Wrathion’s egg was stolen and taken to Ravenholdt Manor where it hatched. It is now discovered Wrathion is free of the taint of the old gods which drove other members of the Black Dragonflight, including his father, Deathwing, mad. He arranges to have what’s left of the black dragons executed. It also seems he’s on the run from the Red Dragonflight and, after Deathwing’s fall, goes into hiding. But it wasn’t far enough. Meddling, as seems to be his proclivity, Wrathion was at the trial of Garrosh Hellscream for crimes against Pandaria. After revealing himself to be working in consort with the Infinite Dragonflight, Wrathion scuttled his friendship with Anduin, freed Garrosh, and spirited the two of them to Draenor. He believed the protection of Azeroth in the upcoming fight with the Legion fell to him and him alone. Needless to say, this does not endear him to Anduin or to players who sought some justice for what Garrosh did. While on Draenor, and a fugitive from the Alliance, Wrathion turned up at Admiral Taylor’s garrison in Spires of Arak. He convinced Taylor to offer him sanctuary. Taylor agreed, but only on the condition he remained under house arrest. As you can imagine Wrathion chafed at this, bribed some of Taylor’s best men, and fled the garrison for parts unknown. While we were saving Azeroth from the Legion, Wrathion was wandering the world. He turns up in the Deaths of Chromie at the Obsidian Dragonshrine. He is back in Northrend “for his own amusement” and is aghast at the undead at the shrine. He encourages you and Chromie to look for someone who dislikes dragons and who can control undead. This is the last time, for now, Wrathion appears. There are rumors. Back in April, Jeremy Feasel, a.k.a. Muffinus, was asked about Wrathion. Had we seen the last of him? 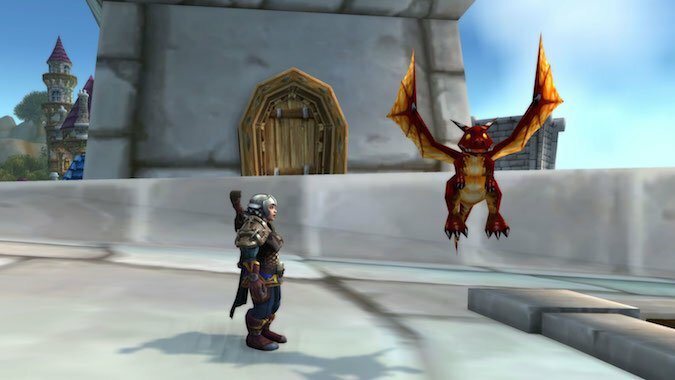 Muffinus asked, “Is Wrathion really one of the black dragon flight?” He also alluded to islands not yet discovered, where dragons might be hiding and that we could get some clues from our Island Adventures. 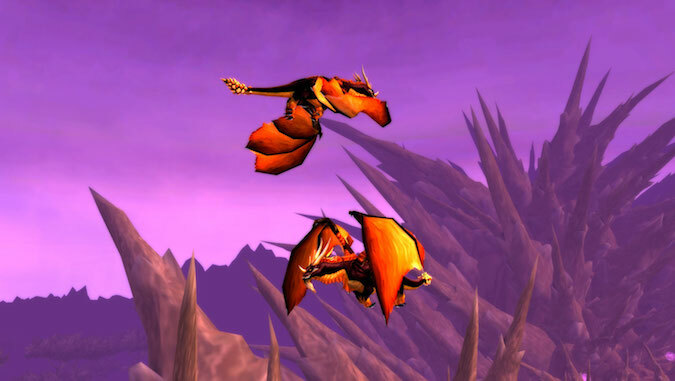 In May 2018, it was reported that a handful of adventurers in beta received unscarred black dragon scales while doing adventures, which sent them to Blackrock Mountain, and perhaps Wrathion. Upon arrival, he was not there, but his agent was. 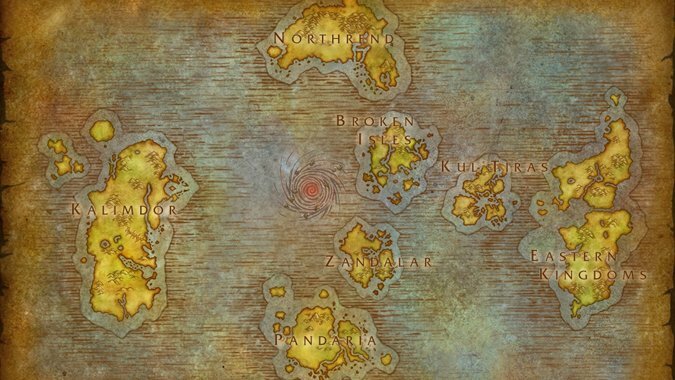 The agent said Wrathion is looking for the Dragon Isles and the other members of the dragonflights have not been forthcoming about the islands’ location. In addition to Wrathion, two other members of the black dragon flight are still alive; Ebyssian and Sabellion. Ebyssian is referenced in Highmountain. The location of Sabellion is unknown. Dragon Isles, eh? If you were the dragonflight, where might you hide these islands to keep a snoopy little dragon from finding them? And to what purpose would you hide them? Given what you know, if Wrathion shows up and wants you to go slay more dragons, how are you going to feel about that? Is he really part of the black dragon flight? I’m wondering if the taint of the Old Gods is way stronger than Rhea and Dr. Hieronymus Blam could overcome. One has to wonder what Wrathion is up to.